Hey guys, do you like party? There’s a new party in town right now exclusively brought to you by Got X Got Life. It’s the XPLAY. You might not want to miss this guys. XPLAY is a series of music events nationwide that brings various genres of music together. What’s more is that they have the best local and international DJs entertaining you guys, rocking the house down with an electrifying show. Yeah man. You will not imagine how rocking it is when you are not there. So make sure yourself at there on the party night. Experiece a party like never before with beyond-imagination line-ups and groundshaking music to give you one of the most memorable nights you will ever have. Feeling itchy and wanna be there? Faster get your invitation now. It’s easy. 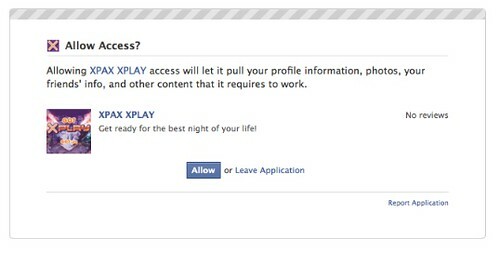 Login to your Facebook account and get exclusive FREE invitation from the Xpax Facebook at www.facebook.com/xpaxfb. Join as a fan and click on the “XPLAY” tab. Register for FREE invitation. (If you are first 200 fans to register, you will get a FREE drink of your choice). Wait for your invitation via email. 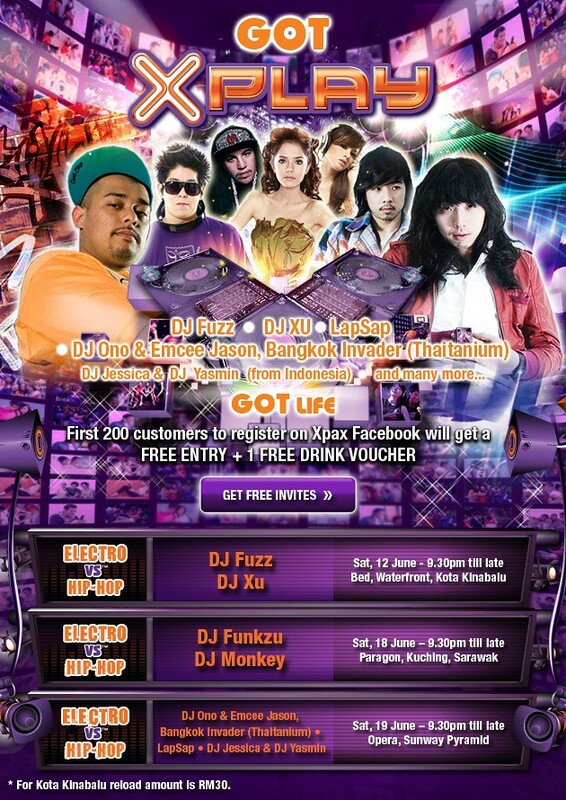 First XPLAY, the HIP-HOP VS ELECTRO with DJ Fuzz, DJ Xu and more will be at BED, Waterfront, Kota Kinabalu on Sat 12 June 2010. Time will be starting from 9.30pm till late night. Get yourself there!